Can´t remember when exactely, but at least a year ago (may be two? ), I "met" Lela Nargi on the internet. She´s an author and freelance journalist who writes extensively about food, travel and knitting. Enough in common to start corresponding, although we never met (yet). 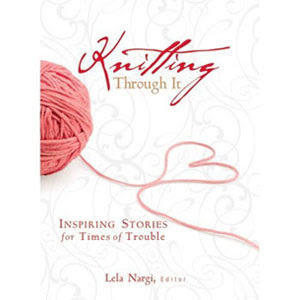 I wrote a contribution in her latest book, Knitting through it: Inspiring stories for times of trouble.